" Whatever you think, that you will be. If you think yourself weak, weak you will be. If you think yourself strong, strong you will be. If you think yourself impure, impure you will be. If you think yourself pure, pure you will be. " 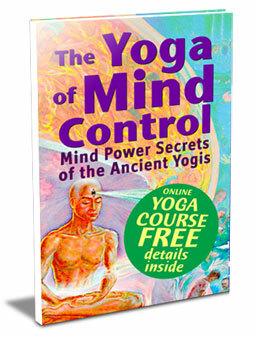 The Yoga of Mind Control is a profound exploration of the immense potential of the human mind. The ancient yogis understood well the relationship between thought and manifestation. They knew that everything we have in life is a direct result of everything we think. 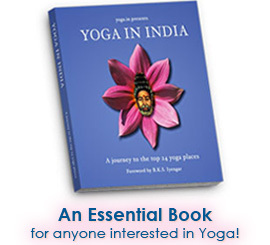 They developed a clear and concise way for us to perceive and understand these deep, inner-workings of our mind, and a whole system of yoga practices to help us to "break free" from our conditioning and destructive patterns. The Yoga of Mind Control reveals this wisdom of the ancient yogis and their powerful secrets to unlocking the unlimited potential within all of us ... That potential to have and to be all that we want! I just want to thank you for this book. I have read things like this before, but never has it made so much sense to me! I am printing a copy of it right now to share with my husband and children. This book is truly a gift.